Paid advertising is like speed dating. A company is given an allotted time to impress its viewers with its best presentation. If it successfully intrigues a potential date within that time frame, then there’s a chance it might receive a special call later on. The immediate goal is to get that call. How does your company prepare for that first call? What do you do to enhance your first interaction with your customer? As we all know, first impressions last a lifetime, so it’s crucial for you to make that call as wonderfully memorable as possible. Here’s the step-by-step guide on how you can impress callers when they make that call. Remember, if you’re trying to establish a working relationship between you and your client, it’s never about you. Your IVR system should talk as little as possible, offering clear and straightforward options for your customers to choose from. More options isn’t always better. To read more about the characteristics of a great IVR system, click here. Competent IVRs make a world of difference for your customer service experience. Once upon a time, primitive Voice Recognition systems were designed to understand only the typical middle-class American accent, which excluded people from many different cultures, and communities, and those with disabilities. With today’s technology, you can opt for a much higher quality Voice Recognizing IVR with a large vocabulary and speech-to-text capabilities. The more your IVR understands your customers, the faster your leads will convert. In the business world, you can never know too much about your clients. Imagine being able to accommodate to your customers’ music taste and language preference before they even speak to an agent. With Phonexa’s advanced call tracking, businesses can fully deliver the customer service experience that they’ve always wanted. When your callers notice how well your phone system caters to their individual needs, they will definitely be impressed. Have you ever been trapped in a transfer loop before? It’s not a fun ride to be stuck on, trust us. You can actually prevent this from happening by using Phonexa. The last thing you want to do is keep your caller waiting, since 82% of consumers say that getting their issue resolved quickly is the number 1 factor to a great customer experience. So, the best solution is to switch to a better platform that helps to ensure a smooth and quick transaction. Perhaps the most overlooked part of the call is the callback. This simply implies that you keep in contact with your customers. 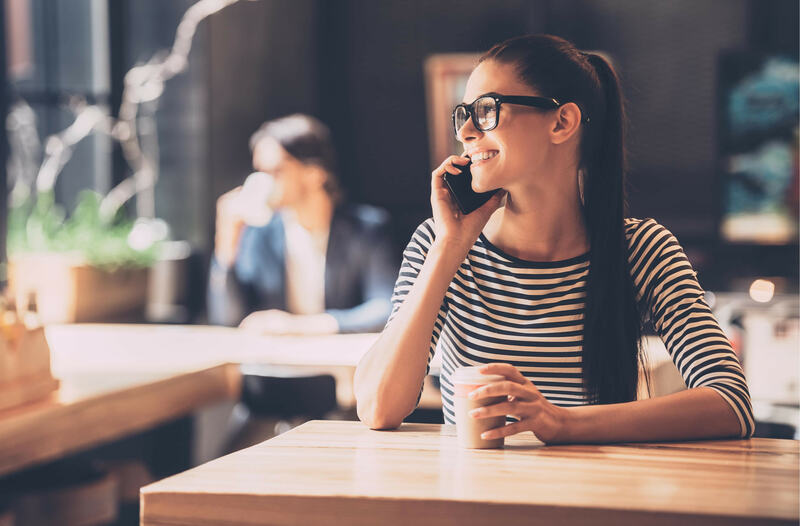 By making yourself available after the initial call, you’ll remind your customer that you care about them and that they are still valuable to your company. The average spend of a repeated customer is as much as 67% more than a new one, so it’s definitely worthwhile to keep your clients returning. Request a demo now and get a closer look at Phonexa’s capabilities!